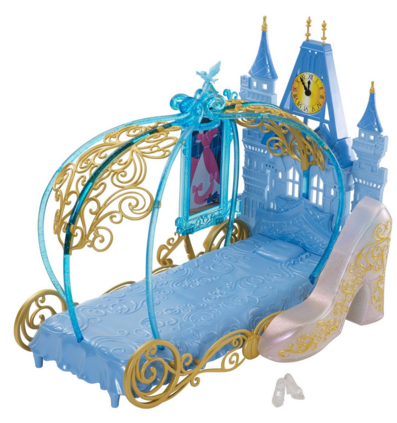 Disney Princess Cinderella's Dream Bedroom Playset Doll Just $10.24 Down From $25! You are here: Home / Great Deals / Amazon Deals / Disney Princess Cinderella’s Dream Bedroom Playset Doll Just $10.24 Down From $25! Disney Princess Cinderella’s Dream Bedroom Playset Doll Just $10.24 Down From $25! Here’s a neat Amazon deal. Disney Princess Cinderella’s Dream Bedroom Playset Doll is just $10.24 down from $25! Get yours now while it lasts! Cinderella’s Dream Bedroom comes with all of the enchanting accessories a girl needs to recreate cherished moments from Disney’s beloved fairy tale! Featuring all of the enchanting accessories a girl needs to recreate cherished moments from Disney’s beloved fairy tale! A must have for all Cinderella fans!